16-20 sq.m space, rooms up for 2 or one person, air-conditioner, TV & Satellite, Complimentary Internet access/ LAN, Wi-Fi, phone, shower cabins, heated floor. You may order twin room with two separate beds or double one with two beds placed together with whole mattress. 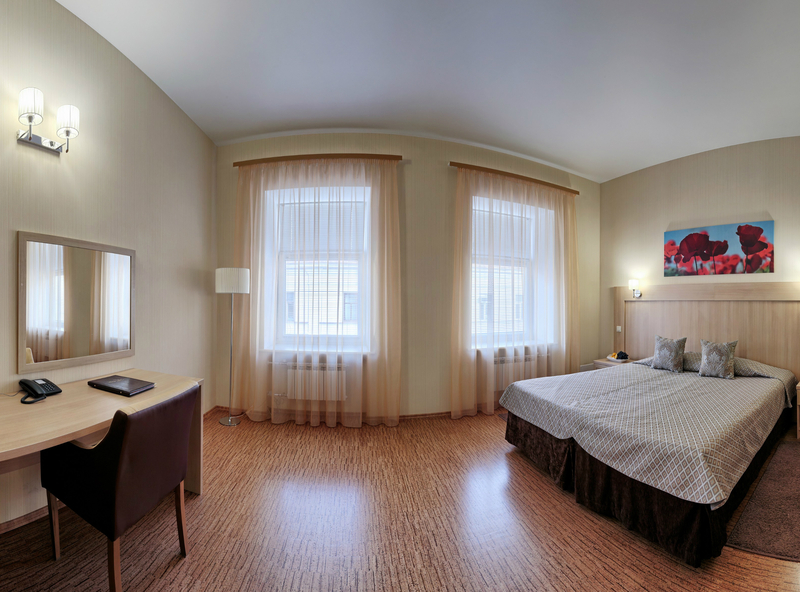 Hotel’s interiors represent a fine classic design of St.Petersburg style. Separate entrance and security service, video recording and safety deposit boxes ensure intimacy and 24-hour safety for hotel guests.